Located off of Exit 6, Luna Pier Rd on I-75, just north of the Ohio/Michigan border. 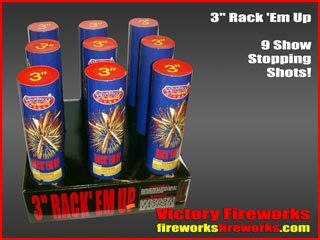 Victory Fireworks is located off of Exit 6, Luna Pier Rd on I-75, just north of the Ohio/Michigan border. 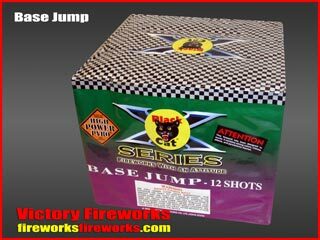 The Victory Fireworks store has the best selection of ground and aerial fireworks. 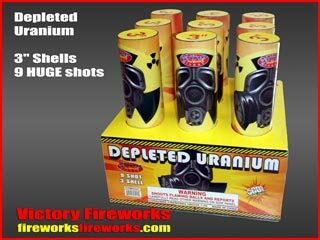 We know what our competition offers and we take the challenge against any other fireworks on the market. 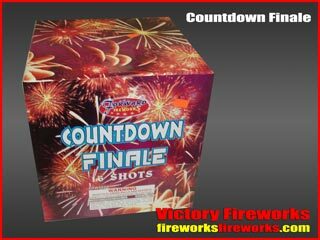 Each of our fireworks is hand selected by our staff so that you will find nothing but the best fireworks at Victory. 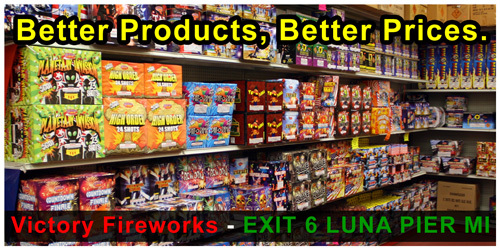 We only stock the store with fireworks we want to use ourselves! 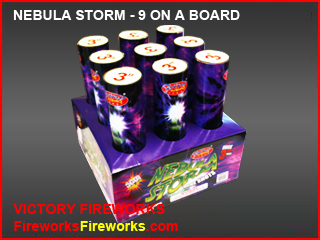 We are looking forward to a great 2016 fireworks season. 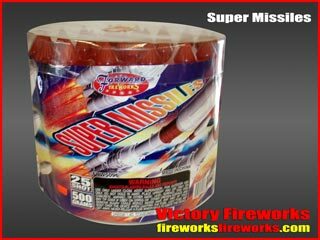 We pride ourselves on having the best selection of fireworks in Michigan and Ohio. 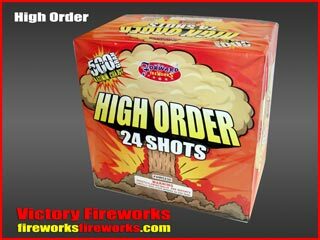 We have been in the fireworks business for a long time and know what it takes to make your show the best in the neighborhood. 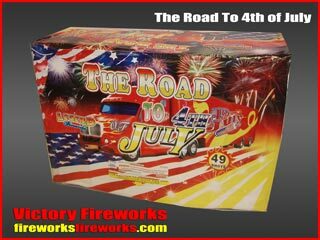 We look forward to serving you this fireworks season for the best July 4th ever! 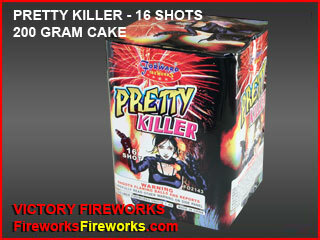 500 gram cakes are a high powered show in one box. Basically all you have to do is light the wick and stand back. 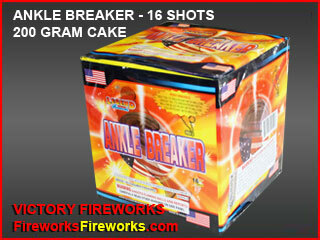 You will get anywhere from 10 to over 200 shots out of just one cake! (The reason they are called cakes is that with the external packaging removed, the box and tubes look like a birthday cake). You may use a razor knife to remove the top packaging prior to lighting. This will not affect performance although it will give you less mess to clean up afterwards. 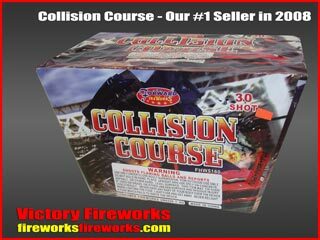 Some of our best selling 500 gram cakes from 2014 were Collision Course and High Order. These have been stellar cakes with customers always coming back for more. Be sure to shop early though, we have had a limited supply of High Order! 200 gram cakes follow the same principle as the 500 gram version. Basically these are the little brother. 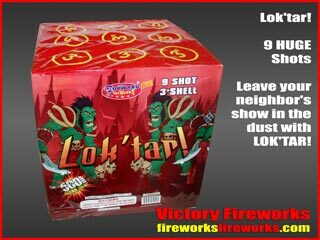 They don't shoot as high or boom as loud but they still pack impressive performances inside their smaller boxes. These are ideal for areas without much space or for anyone on a budget. 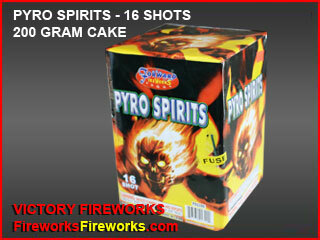 Fireworks Fiesta is our best selling 200 gram cake year after year with over 90 shots and lasting over a minute! 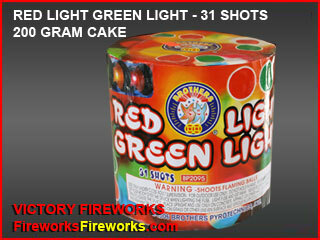 These are the loudest and most colorful cakes that we sell. 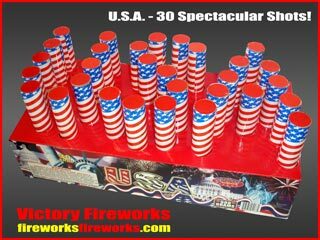 Each cake will produce nine neighborhood rocking thunderclaps with show-quality displays. 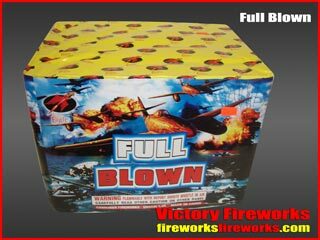 These are the largest fireworks that we are legally allowed to sell. Each has a different color pattern, so stop in to our store and see our large video display wall of these 9-on-a-boards to help you get the exact effects you are looking for.